I was given samples of Morinaga’s Make Your Own Tofu Kit, consisting of two 12 ounce containers of soy milk and two packets of nigari along with instructions on how to make tofu. I had made one portion of tofu a few weeks ago. It was very, very soft. I like soft tofu, but this kind did not hold its shape very well. I ended up using it for creamy salad dressings and it was delicious. I tried the other sample today. I thought I would cook it longer than the recommend 5-15 minutes to see if that would help firm it up a little more. 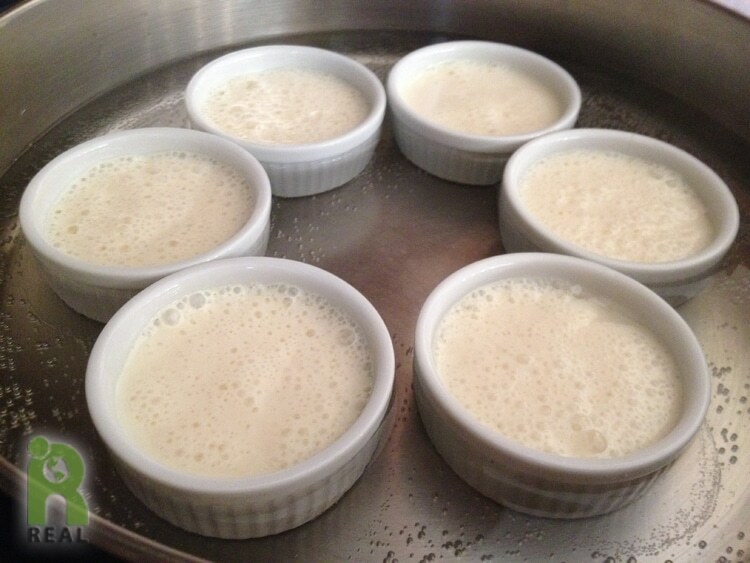 Here is the soy milk and nigari cooking in small ramekins. The result was a soft tofu, a little firmer than the last time, but still very fragile. The kit comes with some cheese cloth and a container to press the water out of the tofu, but this did not come with my samples. Pressing the water out of the tofu should make it firmer. I thought it would make a great pudding. It did. 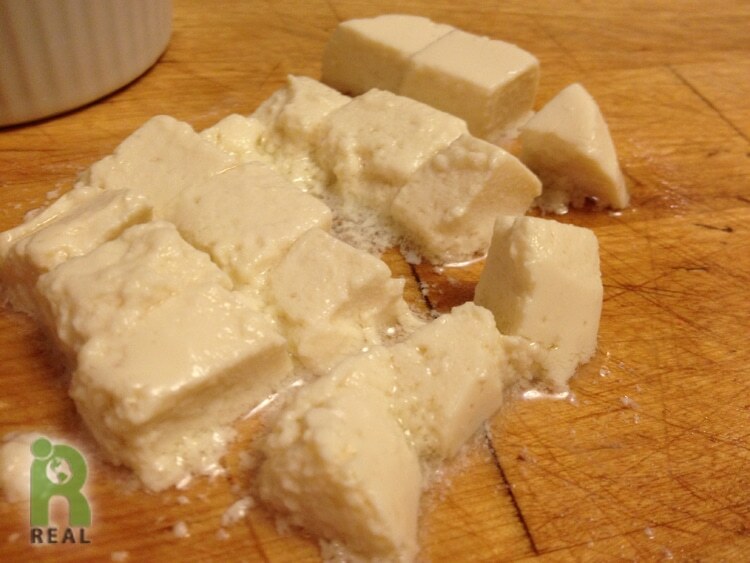 If the tofu is store bought, process first in a blender to the consistency of sour cream. My homemade tofu was very soft and fragile, I did not need to blend it. If you don’t blend the tofu, it will be lumpy when mixed with the chocolate. Melt the chocolate in a saucepan over low heat, stirring occasionally. Once the chocolate is melted add the tofu, vanilla and cocoa powder. Whisked it all together in the saucepan over low heat until blended and creamy. Pour the mixture into 4 ramekins and let chill. 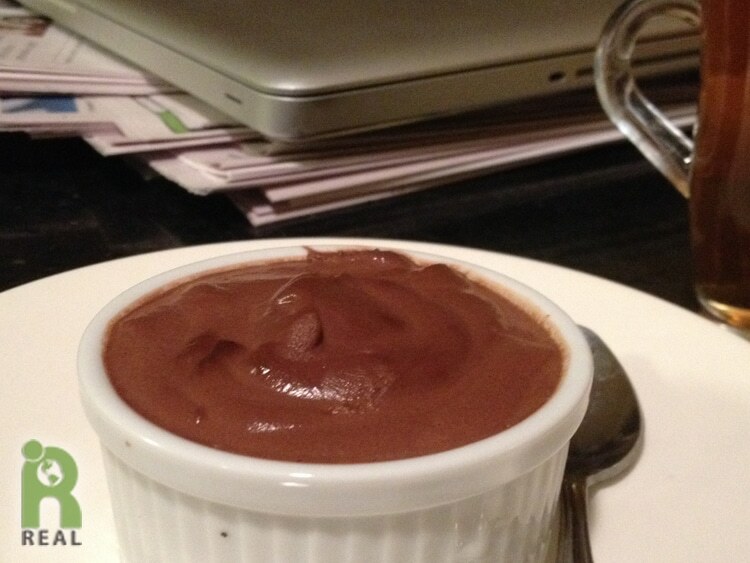 This pudding is creamy and rich. Silken tofu can be used to make great dips, salad dressings, sauces, puddings and creams. If you use store bought tofu, put it in a blender first to make it creamy before mixing with the melted chocolate, otherwise it will be lumpy.